Loose powder that gently covers pores and other unevennessto bring out a bright translucency. Formulated with a “Makeup Hold-boosting Ingredient”.Fine-grained powder with phospholipid coating has a high skin affinity, and virtually melts onto skin to create a beautiful finish with no sense of dryness. 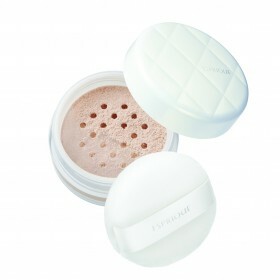 “Sebum-absorbing Powder” absorbs excess sebum to control sticky and shiny skin. 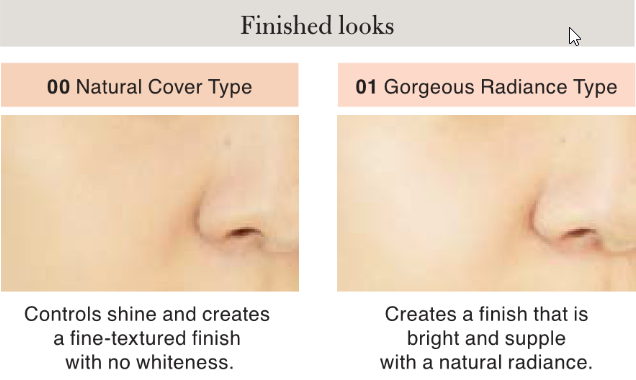 “Super Flat Powder EX” matches the size of pores to cover uneven areas. Loose powder that gently covers pores and other unevenness to bring out a bright translucency. Use to finish off base makeup, or to refresh makeup while on the go. Take a small amount of powder by placing the puff onto the inside lid and turn the case upside down. Test on the back of the hand and then apply to face in light circular motions. In areas where makeup tends to deteriorate, such as around the nostrils, carefully press the powder on with the puff.